featured in Vanidades Magazine‚s July issue. 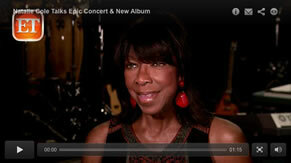 "Natalie Cole Conquers The Latin Market. 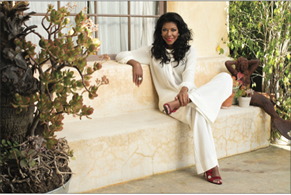 As Natalie recounts her ordeal, her memories shift often to those who influenced her life: family, including her legendary father, Nat "King" Cole; musical mentors like Frank Sinatra, Sarah Vaughn and Sammy Davis, Jr.; and irreplaceable friends who have stood by her in the toughest times. From her sometimes turbulent life experiences, Natalie takes away a strong religious faith, a positive attitude, an impassioned belief in the value of friends, and a reliance on the sustaining power of love. LOVE BROUGHT ME BACK tells an intimate and moving story that touches the heart.